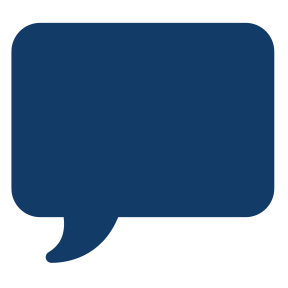 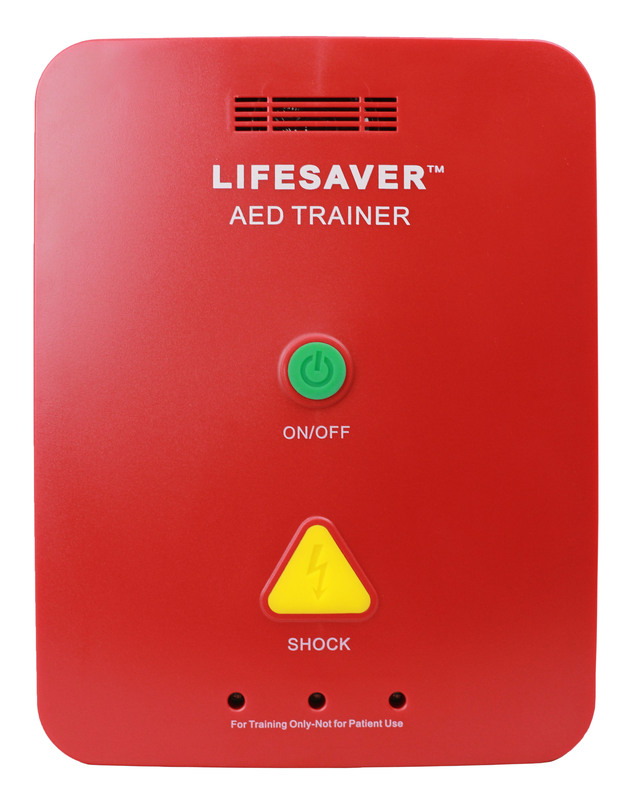 The CPR Savers Lifesaver AED Trainer offers CPR and defibrillator training under 4 different scenarios with easy-to-understand step by step instructions so that anyone can operate a defibrillator and learn how to help a victim of cardiac arrest. 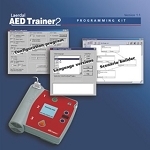 These instructions go over the entire process in both English and Spanish: from applying the pads, to performing CPR after delivering a shock. 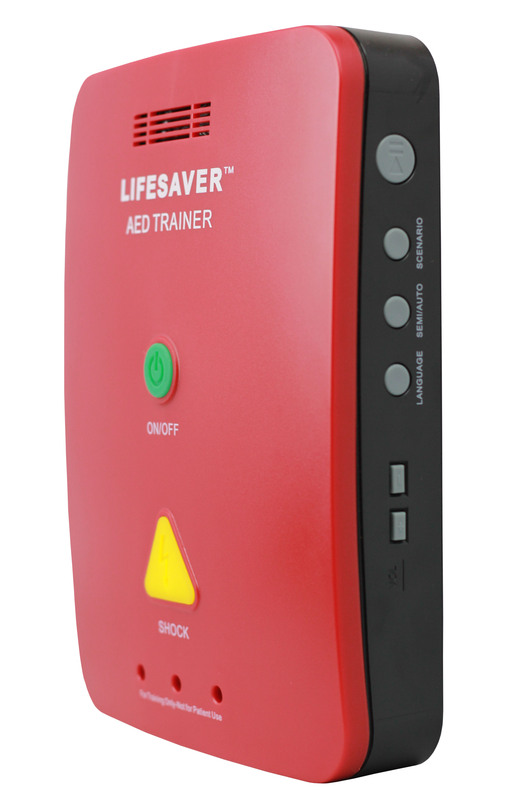 A pause/play button and volume control will allow you to take control of your CPR/AED training experience. 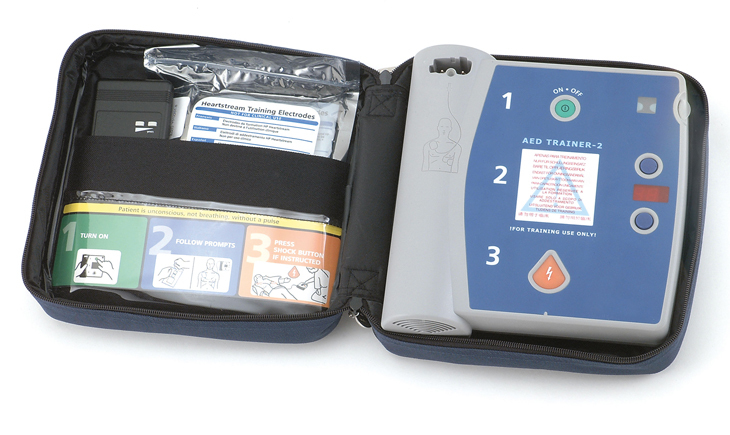 The CPR/AED trainer includes both Adult, and Child pads to allow for training on different body types and come packed with 4 AA batteries to allow you to use it immediately. 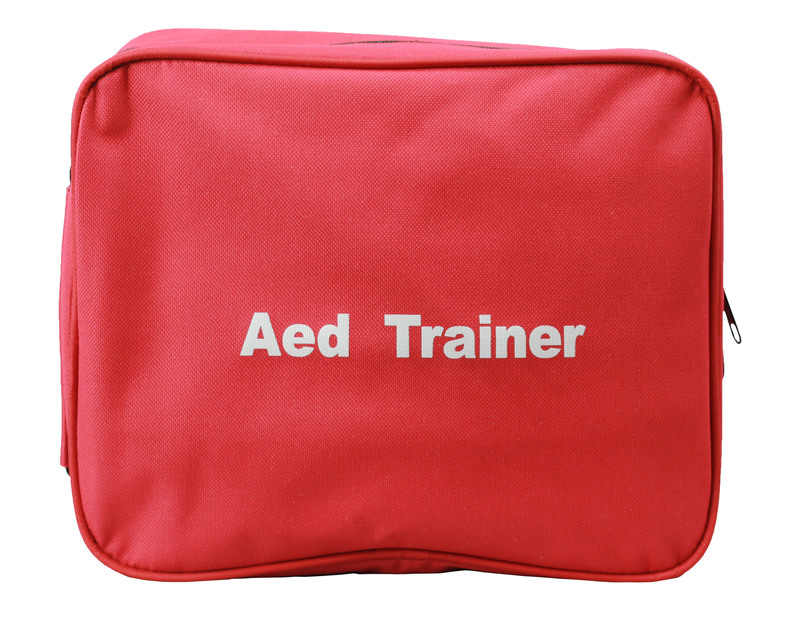 Everything can be carried in the included carry bag, which allows for easy storage, and increased portability for your AED training purposes. 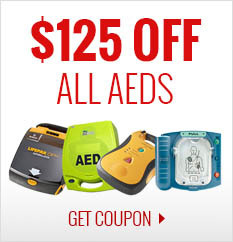 Nearly 300,000 people die from cardiac arrest in the US every year, and during an emergency every second counts. 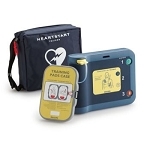 Going through the CPR/AED training process will assist you in calmly, and quickly helping the victim of cardiac arrest until professional help arrives. 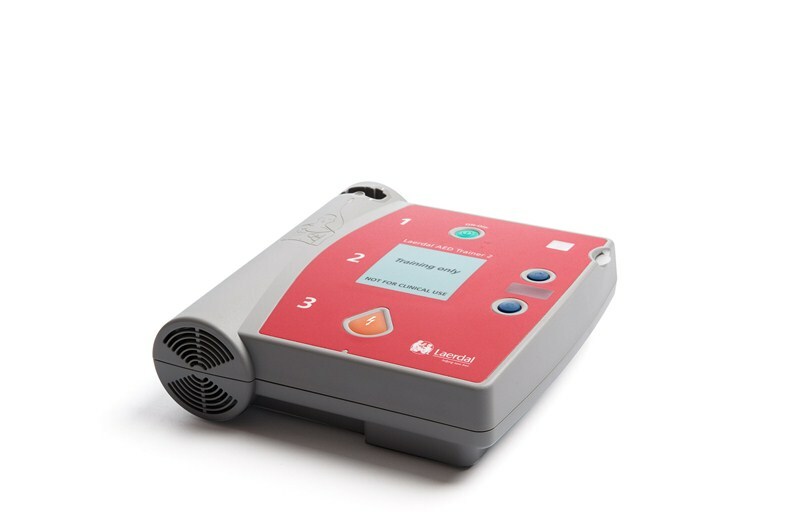 There's no better way to do that with the newest, lightest, most economical aed trainer on the market, which is compliant to 2019 CPR guidelines. 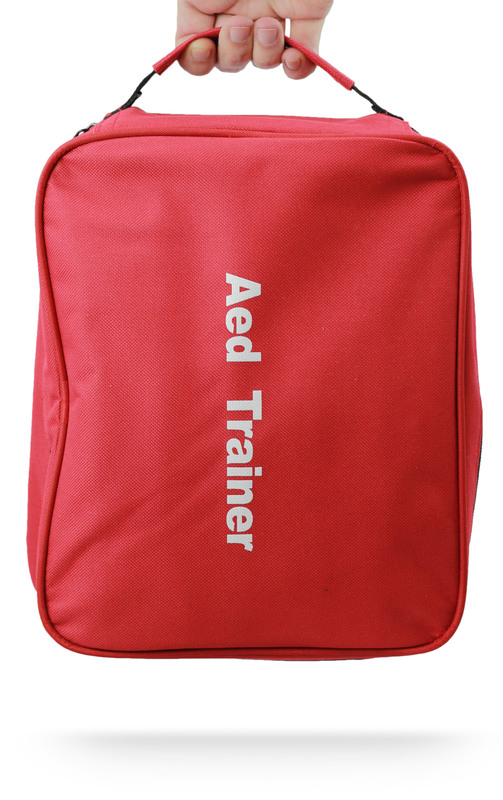 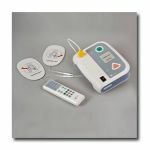 AED trainer in bag: 1.95lbs | 10.75" x 9.5" x 3.75"
AED trainer only: 0.9 lbs | 9" x 7" x 1.75"